Online Estate Agents | How They Operate & Will They Work For me? Online Estate Agents – How They Operate & Will They Work For me? 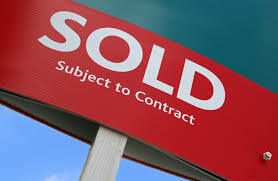 I’m in an arguably luxurious position in that I liaise with all types of estate agents across all sectors every week. Having been an agent myself in a former life, it also gives me a much greater understanding how the industry operates and the changes that go with it. Over the past 30 years or so, the industry has really made vast inroads in to cleaning up its act and on the whole has managed to shake off the shady reputation that had dogged it so prevalently in the past. Today, with the emergence of new technologies, there are ‘the new kids on the block’ in the form of the online and hybrid agents. They appear to be cheap, cheerful and to do the job. So you would be forgiven for thinking that the whole estate agency industry is moving at lighting speed towards a new frontier, all to the benefit of the house seller and buyer. However, whilst one foot seems to be leaping forward in to the future, the other sees the revival of the lawless wide-boy days of the 1970’s. In the news recently, many of the online and hybrid agencies have been featured for all the wrong reasons. The Advertising Standards Authority has rapped one online agent for misleading claims, the third reprimand it has received in the past year. Others have been pulled up for being less than transparent about their services and fees, plus stand accused of submitting fake reviews to online portals. One of my mantras is that the client always comes first and anyone running a successful customer-facing business understands the concept. In my opinion, businesses are foolish if they think their customers won’t twig that they’re being hoodwinked into parting with their money on the back of empty promises and hidden clauses. Treat your customers like this and it’s all over social media in seconds. Interestingly I had to delve in to the world of the online agents recently, trying to help the fortunes of a client who had got into a tangle with one of these colourful agents. They were selling their impressive home set within amazing parkland, with a lake and stunning views. It took six hours of meetings just to unravel the mess that had been created. What unfolded was a plethora of mistakes and risk-taking, reminiscent of the doldrum days of agency. Terrible photographs with nothing taken externally, 300 sqft of property missed off the floorplans, plus no EPC. The latter points have legal implications for having been ‘overlooked’. On closer inspection, the ‘agent’ was one person with a mobile phone, with minimal experience in property, and a manager based 120 miles away. One dreads to think how many potential customers went astray through unanswered or unreturned calls. Digging further, I discovered that the contract small print revealed that the agent had been paid their commission upfront, so arguably had no incentive to sell the property! Overall, online agents certainly have their place, however customers need to know what they are letting themselves in for, making sure they know exactly what is and is not included. It’s a bit like a budget airline – the low price is literally for a seat on the plane with no extras for baggage, food or legroom. According to an article I read in mid-September, one hybrid agency reported that 95% of its franchisees had no agency experience! How anyone can hope to offer meaningful advice on an asset worth hundreds of thousands of pounds, with no experience whatsoever, is beyond me. And I do wonder why people wish to pay as little as £500 to sell what is often their most important and valuable asset. In this instance, I do believe the phrase ‘you get what you pay for’ rings very true.